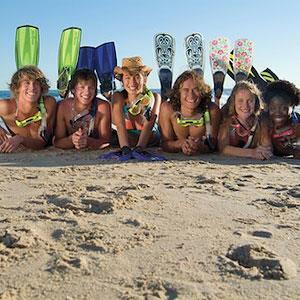 PADI requires you to be at least 10 years old to become a PADI certified Junior Open Water Scuba Diver. 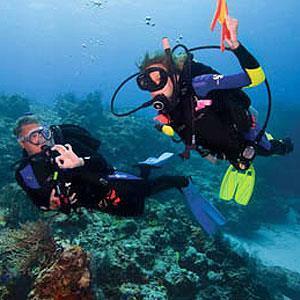 Ten and 11 year olds must dive with a certified parent, guardian or PADI Professional to a maximum depth of 12 metres. Twelve to 14 year olds must dive with a certified adult. 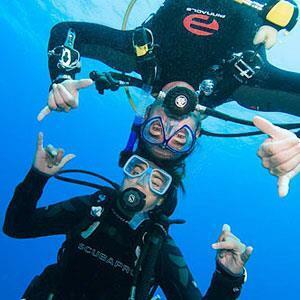 At age 15, the Junior certification upgrades to a regular Open Water Diver certification. 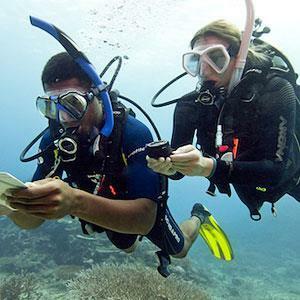 Why do I have to get certified to dive? 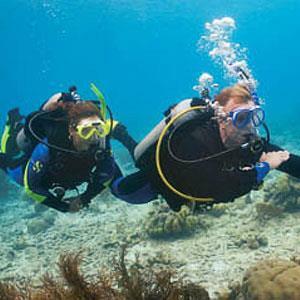 In the scuba class, you will learn how to dive safely and correctly. 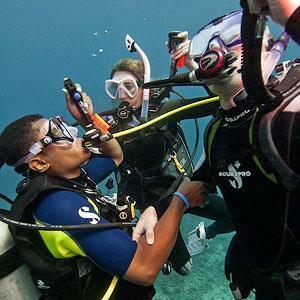 Your PADI scuba diving certification card is proof that you have taken and passed the scuba course. 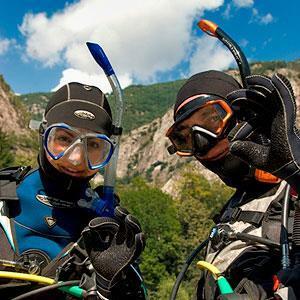 No reputable Dive Centre will rent you gear, fill your tank, or let you dive at their facilities unless you are a certified scuba diver. For how long will I be certified? Your PADI SCUBA certification does not expire. It is highly recommended that you keep in practice. 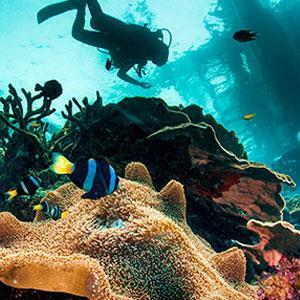 You should dive more than once a year. 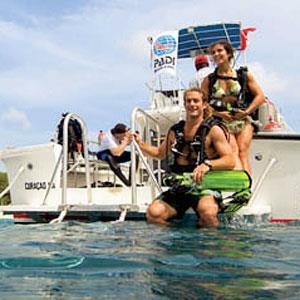 If not you should take a scuba tune up called a PADI Scuba Review with 2DiVE4. 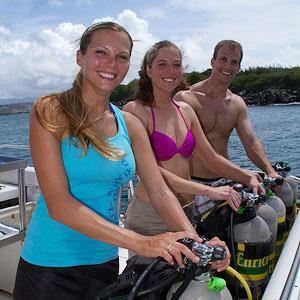 2DiVE4 offers the full range of PADI continuing education classes which are very informative. 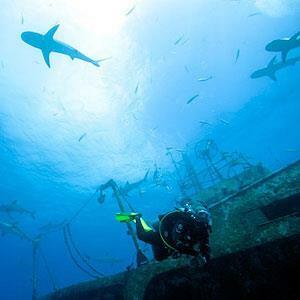 Continuing with your scuba education is an excellent way to keep in practice and learn more safe diving skills. How deep may I go? 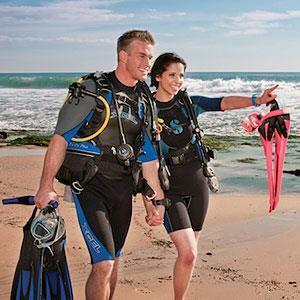 PADI is a recreational scuba organisation. 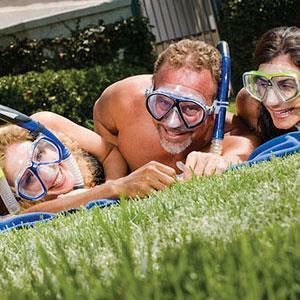 The maximum depth for a recreational scuba diver is 40 metres. You should not dive deeper than 18 metres without proper training. 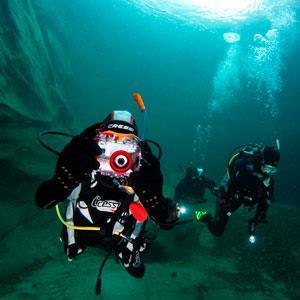 In the PADI Advanced Open Water Course, divers are shown the correct and safe way to make a deep dive. Will the fish bother me? Most fish are afraid of you or will ignore you. It is very exciting to see fish. The larger the better. The prettiest and most abundant fish are in the ocean. 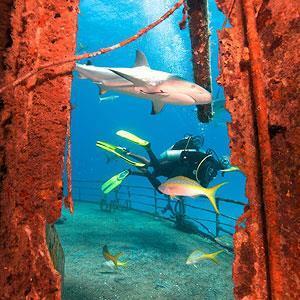 The best place to see fish is near shipwrecks and reefs. Some fish will let you get close to them but will stay out of your reach. Some fish are curious and will follow you around. Sharks and eels are very shy and are difficult to see. Barracudas are curious and might follow you around making it easy to photograph them. You are more likely to be attacked by a cow or a pig than by a fish. Be safe stay off the farm and go diving. 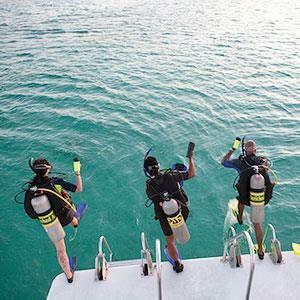 Once you are certified, scuba diving costs about as much as 18 holes of golf, or a good ski-lift ticket. Starting out is the most expensive. You have to pay to get scuba certified, and buy some gear. 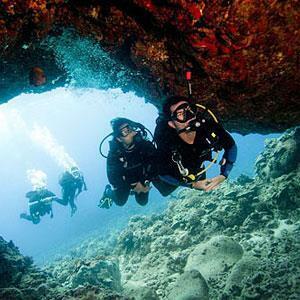 To get started you need to participate in the PADI Open Water Course. 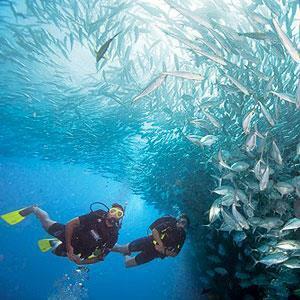 This course will give you full certification and is the most popular diving course in the world. 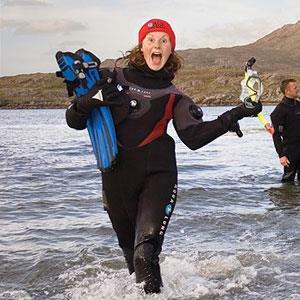 If someone says “I’ve got my PADI” they meant “I’ve just completed the PADI Open Water Course”. 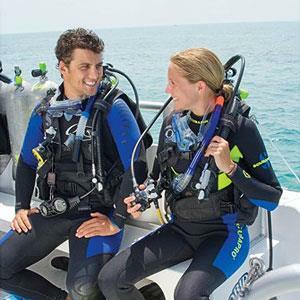 Dive equipment prices vary but we can provide you with a basic set of equipment at a budget price or you can push the boat out and treat yourself to a top of the range set of gear for a bit more. Please call us for some great package deals. 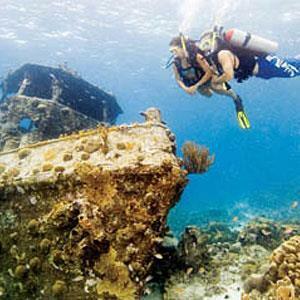 A two-tank dive in the Red Sea will cost you around £50, The Caribbean will cost about £65, in Florida you can expect to pay about £50. 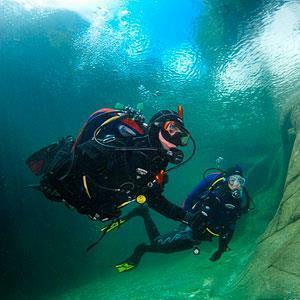 Most inland quarries in the UK charge about £12 for all day diving. Diving Air fills are around £3. 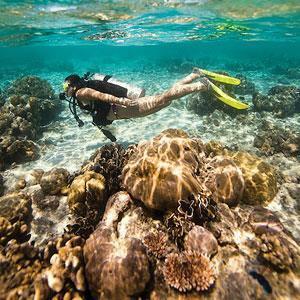 If you’re not looking to dive that much during the year and only plan to dive on holiday then it’s probably worth just purchasing your mask, fins and snorkel and hiring the rest of your kit. You can hire a full set of kit from £45 per day or £85 per weekend. I've always wanted to learn to scuba dive. How do I get started? 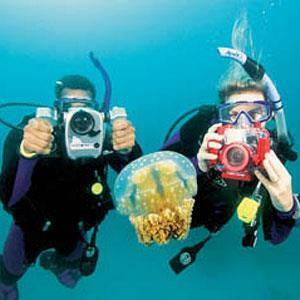 The easiest way to get started is call 2DiVE4 on 01279 815559 and we’ll be able to take your booking over the phone. Once you’ve decided on the course dates we will send out your starter pack containing your study materials. You will need to read the Open Water manual, completing the five knowledge reviews as you go along. 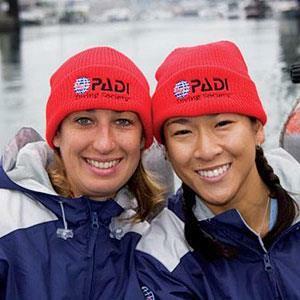 You will also need to watch the Open Water dvd before you come to your first class session. 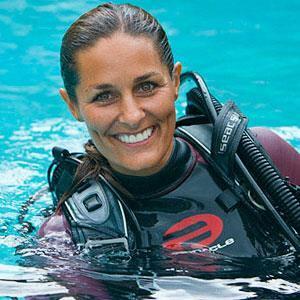 Is it hard to learn to scuba dive? No, in fact, it’s probably easier than you imagine. Especially if you’re already comfortable in the water. 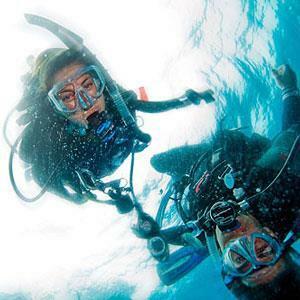 The PADI Open Water Course is conducted over four days with two days devoted to theory and pool skills and two days allocated for your four open water dives. The course is “performance based”, which means that you progress as you learn and demonstrate knowledge and skill. There is some home study required first. Does it only take four days? 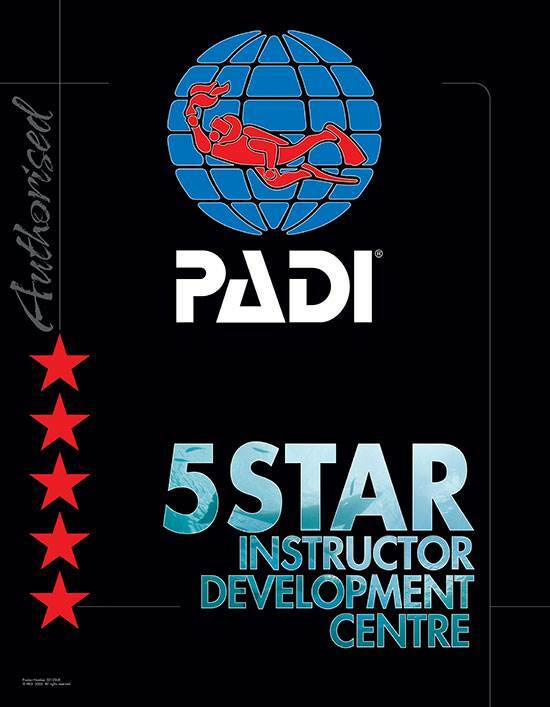 PADI courses are “performance based”, which means that you earn your certification when you demonstrate that you have mastered the required skills and knowledge. We structure our courses over four full days which is generally plenty of time for you to master the theory and diving skills. If however you don’t master the theory or skills in the set time then you can join the next course running for some extra tuition. There may be a small fee for this as we will need to allocate extra Instructors for the course. Do I have to be a great swimmer to be certified as a PADI Open Water Diver? No. All you need to be is a reasonably proficient swimmer who is comfortable and relaxed in the water. The swimming requirement for certification is 200 metre non-stop swim (with no time or specific stroke requirement) and 10 minute tread water. What's in a scuba tank? Oxygen? 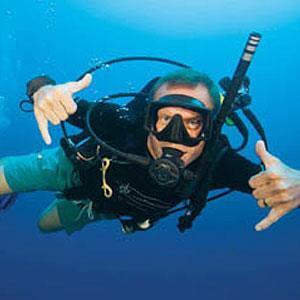 Recreational divers breathe air, not oxygen. It’s filtered to remove impurities, but otherwise, it’s air like you’re breathing now. This is a common question that, unfortunately, doesn’t have a single answer. People breathe at different rates, and you breathe faster when you’re swimming than when you’re resting. Also, the deeper you go, the more you use your air, and, you can get different size tanks. So, the answer is “it depends”; this is why divers have a gauge that tell them how much air they have at all times. As an approximation, a diver sightseeing in calm, warm water at 8 – 10 metres deep can expect the average tank to last about an hour. Your ears hurt because water pressure pushes in on your ear drum. 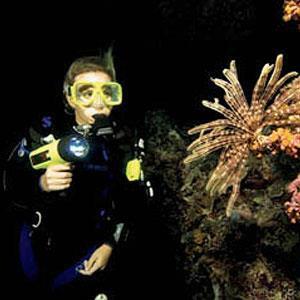 In your scuba course, you’ll learn a simple technique to equalise your ears to the surrounding pressure, much like you do when you land in an airplane, and they shouldn’t hurt at all. Not really. 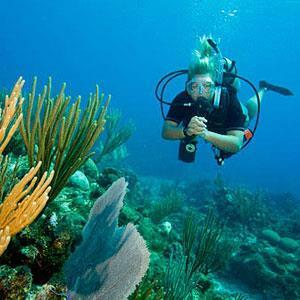 Statistics show that recreational scuba diving is about as safe as swimming. Certainly there are potential hazards, which is why you need training and certification. But like driving a car, as long as you follow the rules and use common sense, it’s pretty safe. 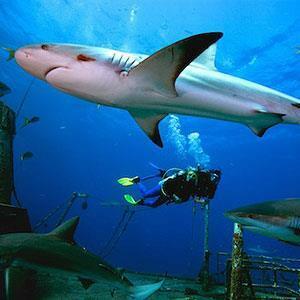 To put it in perspective, the drive in your car to go diving is more dangerous than the diving. More people die playing basketball each year than scuba diving! Do I have to buy SCUBA gear? 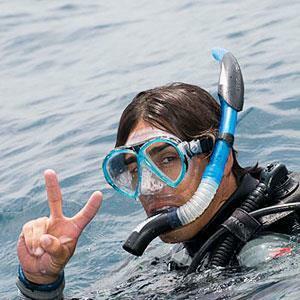 All scuba equipment for the PADI Open Water Course and PADI Advanced Open Water Course is provided in the price of the course, except mask & snorkel, shorty wet suit & wet boots. However you may wish to purchase your dive computer, boots and snorkel for comfort. 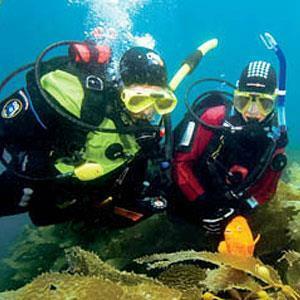 For all other courses each student will require there own equipment, or it can be hired from 2DiVE4. Decompression sickness or “the bends” was first reported by Sir Robert Boyle in 1670 during animal pressure experimentation when Boyle reported, “… a viper furiously tortured in our exhausted receiver… that had manifestly a conspicuous bubble moving to and fro in the waterish humour of one of his eyes.” The pressure related disease acquired it’s nickname “the bends” after workers emerging from pressurized construction on the Brooklyn Bridge adopted a posture similar to fashionable ladies of the period (“the Grecian Bend”) because of symptoms of decompression sickness. As a diver descends in the water column, the combination of increased pressure (Boyles Law) and consequent increased solubility of nitrogen in the body’s tissues (Henry’s Law) causes an increase in the “on-gassing” of nitrogen. Air is made up of approximately 79% nitrogen, which on the surface, is easily cleared from the body. 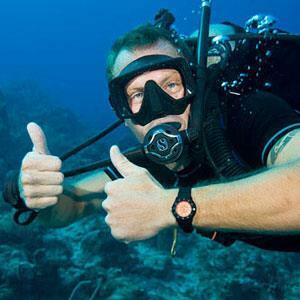 However, as the diver goes deeper, the pressure increases, increasing the partial pressure of nitrogen, and the “on-gassing” of nitrogen exceeds the body’s ability to clear the gas. The deeper the diver goes, the faster this process occurs. A diver with a “nitrogen burden”, upon surfacing may allow nitrogen inside the body to come out of saturation (similar to removing the lid from a shaken/pressurized cola can) causing bubble formation. These bubbles may cause joint pain, sensory changes, limb weakness, and in severe cases paralysis and death, the symptoms being dependent upon location of bubble formation (joints, spinal nerves, spinal cord, etc.). This process is known as decompression sickness, or “the bends”. 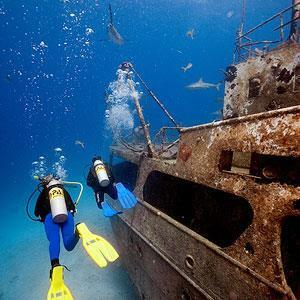 Onset of these symptoms generally occurs within 12 hours of surfacing from a dive (90% within 6 hours), however, a physician familiar with diving should be consulted anytime decompression sickness is a potential diagnosis. I lost my certification card how can I get it replaced? If you call PADI on 0117 300 7234 they will be able to send out a new card to you. There will be a small fee though. Alternatively you can go to https://apps.padi.com/scuba-diving/replacement-card/ and do it online. 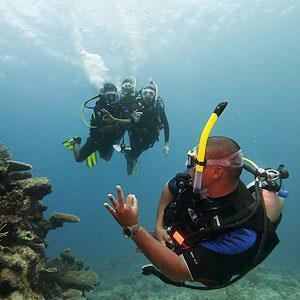 Why are some Dive Centres so much cheaper than others? Does that price include the four Open Water Dives? Does that price include the book, log book & DVD? Does that price include the scuba equipment hire for the four open water dives? How many students will be in your class? 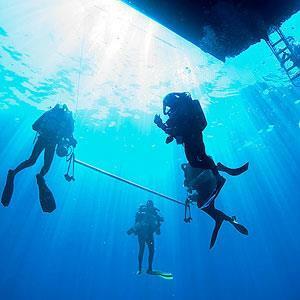 Some dive centres wait until they have several students before they run the course.